When it comes to expressing love, Flowers will always win the race. 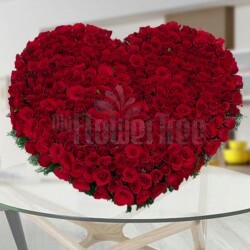 If there is anything that could be better than the flowers then, it will be the heart-shaped arrangement of these beautiful and well-blossomed Flowers. 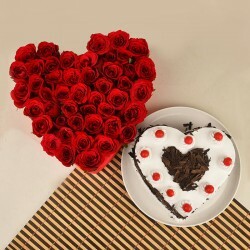 Send these heart-shaped bouquets to that special someone in your life with our online delivery services. Flowers are one of the most romantic things that you can ever hold. They are full of emotions and colours which make your hearts' desire to he heard loud and clear. Their simple touch can fill your life with positivity and fragrance. No matter where you are in your relationship, there is a flower for every stage. 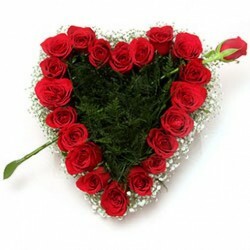 When it comes to expressing love, nothing can beat our premium heart-shaped arrangement of flowers which are out together by the best online florists which are stuck by the cupids. 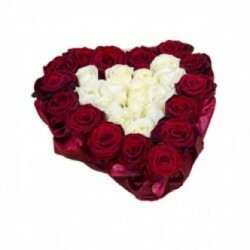 What makes our hearts-shaped arrangements the best ones is that we put only the well-blossomed Flowers in them which are hand collected by us from the most exuberant farms in the world. 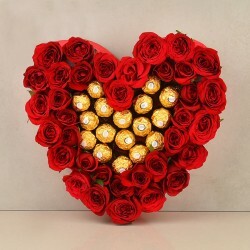 order a special arrangement for that special someone online from MyFlowerTree..
Not just any but we have a variety of unique heart-shaped arrangements which are perfect for different events in your life. 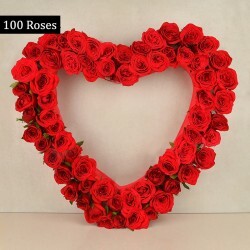 If you want to surprise your boyfriend, girlfriend, husband or wife, go ahead with our romantic heart shaped rose arrangement. 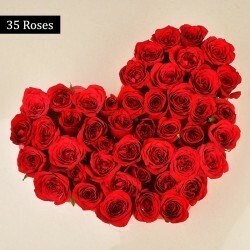 with these roses shaped like hearts, you can let your feelings be heard. 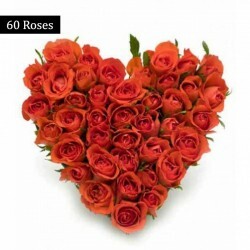 with our heart shaped roses bouquet, you can let someone know how much you love them. 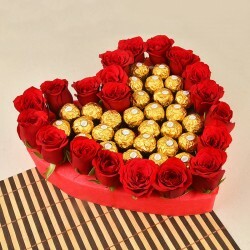 buy these amazing arrangements to express your love. these are perfect anniversary and valentine's day gifts. 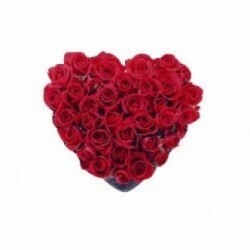 You can also shop for heart shaped flower arrangements for wedding from MyFlowerTree. These are amongst the best gifts ideas which will make your gift stand out on the crowd. 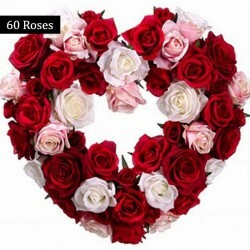 You can also go ahead with our heart shaped flowers name to give the bride and the groom a gift of a lifetime. 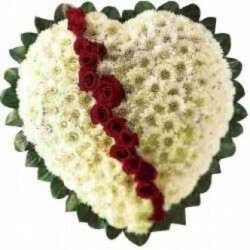 These personalised arrangements are previous and one of a kind. 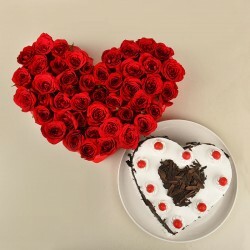 These heart-shaped flower arrangements are perfect for the celebration of very love oriented occasion like anniversary of parents, friends and birthday of boyfriend, girlfriend, husband or wife. For the Valentine's day too, these heart-shaped gifts will do wonders for your relationship. 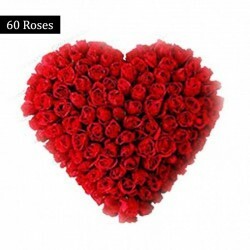 Express your emotions through these beautiful Flowers which are put together in the shape of Flowers to make every day feel like it is touched by the cupids themselves. 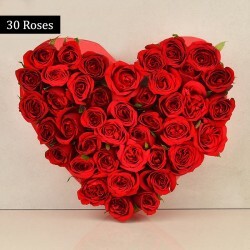 Without thinking about the geographical distance, Send heart shaped flowers bouquet to that special person in your life. 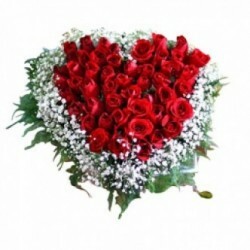 With our online delivery services, you can send these amazing flower arrangements to your loved ones living in any part of the world. When it comes to india, we deliver in all the major states and cities like Maharashtra, Delhi, Nagpur, Bangalore and more. We want everyone to feel loved and that is why we cover the maximum remote city area too which is not covered by anyone else. 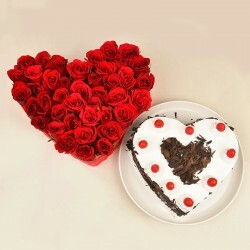 So, send a special gift to your partners living in any part of India. 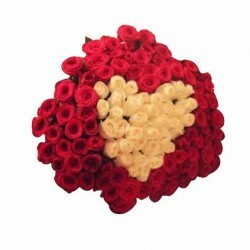 With our International delivery, you can send these heart-shaped bouquets to abroad too! USA, UK, Australia, Dubai, Thailand, Africa; all you have to do is to name the country and we will do the rest.